Free shipping. Buy direct from HP. See customer reviews and comparisons for the HP Pavilion Gaming Desktop 690-0015xt. Upgrades and savings on select products. The HP Pavilion gaming desktop 690-0015xt isn’t just any PC, it’s a device built from the ground up to exceed your expectations. NVIDIA® GeForce® GTX 1060 discrete graphics and integrated Intel® Ultra High Definition (UHD) Graphics 630 deliver a bold, layered visual experience. Say goodbye to lag and slowdowns forever and enter the ultimate PC gaming world where smooth, uninterrupted gameplay is standard. In addition to visuals, sound quality is also incredibly important to gameplay. This PC boasts 5.1 surround sound, so you’ll never miss those quiet footsteps of an enemy sneaking up behind you. Hear them before they hear you. Although the functionality of a gaming PC wins out over everything else, aesthetics play a part as well. And the HP Pavilion gaming desktop 690-0015xt doesn’t skimp on good looks. With its shadow black front bezel and brushed hairline pattern, it will complement any stylish home office setup. Whether you’re gaming, surfing the web, or streaming movies, this PC can handle it all. It’s the perfect centerpiece for your home entertainment station. The HP Pavilion desktop 690-0015xt comes with an ENERGY STAR® certification. Curious as to what that means? An ENERGY STAR computer can use up to 60% less energy than a non-ENERGY STAR certified PC without negatively affecting overall performance or computing quality. Over the life of an ENERGY STAR product, you can expect to save almost $250 in reduced energy consumption. In fact, if every computer in the U.S. were energy efficient, the equivalent of 1.2 million vehicle’s emissions would be neutralized. In addition, this PC is also EPEAT® Silver registered which means that the device meets certain required sustainability criteria involving the total lifespan of the product, overall design, production, energy use, and recycling. HP® stands behind its technology. With the HP Pavilion gaming desktop 690-0015xt, you’ll receive a 1-year limited hardware warranty, 90-day phone support from the date of purchase, and chat support within the warranty term period. Should you have any issues with set up or questions, HP® has expert staff at the ready to assist you. The HP Pavilion 690-0015xt features an 8th Generation Intel Core™ i7 processor that will power you through a marathon gaming streak so you can level up without worrying about your PC burning out. A great gaming PC isn’t just about power, although that is a crucial component. 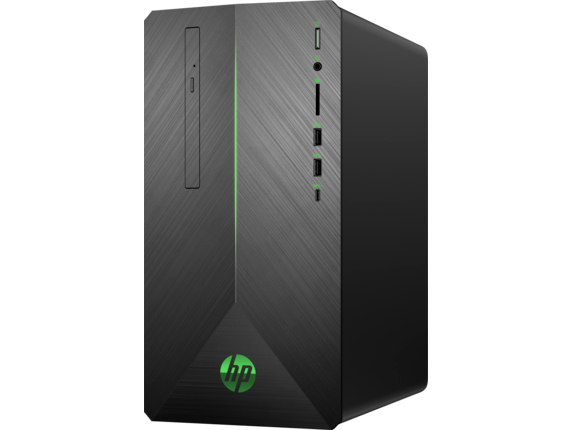 Upgradability, add-on cards, and storage should also be considered and the HP Pavilion desktop 690-0015xt delivers in spades. A 12GB memory and 2TB of HDD storage means you can play the most RAM-intensive games without worrying about screen tearing or sudden crashes. All your favorite triple-A (AAA) PC games are no match for this workhorse, the only thing you’ll have to worry about is defeating your opponent. HP Pavilion gaming desktops come in a variety of configurations so you can easily find your perfect match. Choose a desktop with the right processor, storage, memory, and port options to set up the gaming rig of your dreams. If your current computer is slowing down and your gameplay has been sputtering to a halt because of poor performance, it’s time for an upgrade. Don’t let your device keep you from playing the newest, hottest games of the year. Treat yourself to a battle station worthy of a modern champion. Looking for a different desktop experience? 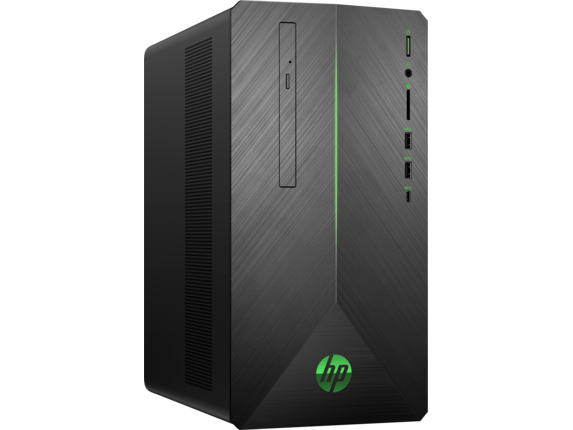 You can find a PC for your work or home setup in the range of HP Pavilion desktops available on the HP® website, whether you are interested in a convenient all-in-one setup or a desktop perfect for general computing needs. You can choose from among Intel Core or AMD processors, NVIDIA GTX 1070 or AMD Radeon RX 580 graphics, or audio by Bang & Olufsen among other choices. 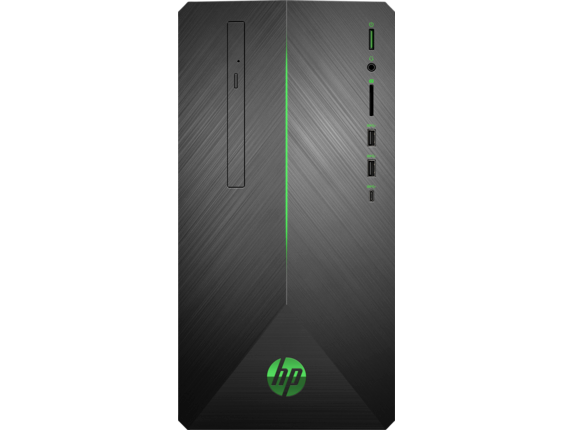 Whether you’re a CEO closing deals, a student trying to make the most of your academic life, a parent printing out book reports for your child, or a gamer looking to enter the professional PC gaming world, there’s an HP desktop to help you get there.